If you're reading this we bet you're a serious art & craft lover, you love creating and you know a good deal when you see one! In other words, you're our kind of people...Welcome! 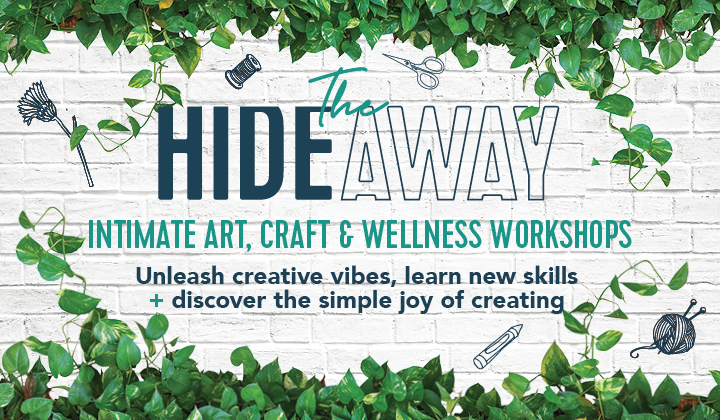 If you never want to miss out on tickets for The Hideaway workshops, please submit your details below. We run these workshops every now and then, and with only 20 spots available, places are limited. By subscribing to this list we promise to only send you information on our craft workshops including upcoming dates and special offers.